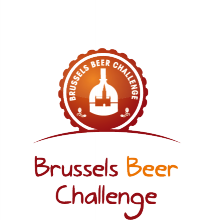 This Friday, around 80 international judges will assemble for the 5th Brussels Beer Challenge. The event will continue until Sunday and take place at the Bourse. Up to 1200 beers from all over the world will be tested, tasted and judged. The famous brewing competition has an international character and gets more and more popular each year. During previous years the challenge took place in Brussels (2012), Liege (2013), Leuven (2014) and Antwerp (2015). So this year, for its fifth birthday the competition returns it's "home" in Brussels. The competition is an opportunity for Belgian brewers to consider their position in the world, where breweries are popping up almost daily all over the world. In other words, Belgian brewers are facing stiff competition from abroad. During the last competition, the US won more medals than the Belgians did. During the first competition in 2012 there were just 498 beers to be evaluated, in 2013 there were 592, 725 the following year, 1098 in 2015 and 1250 this year. The tastings will take place in the historical stock exchange ("Bourse") building in the center of Brussels, which will become the Brussels "Beer Temple" in a few years.